Ed Video Is the Successful Recipient of Our Meeting 11 Cheque! Meeting Three of Year Three! Three fascinating and uplifting presentations and one successful charity! 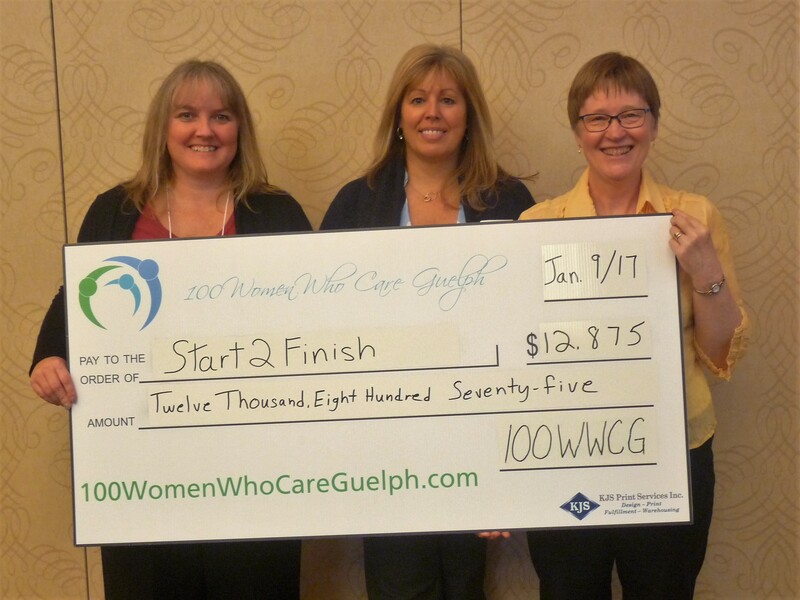 Our eleventh meeting of 100 Women Who Care Guelph demonstrated the incredible commitment of our 146 members to giving generously to local community charities! We value our members and thank everyone present for their engagement and for their insightful questions. Most important, we would like to thank all of you for your continued generosity! 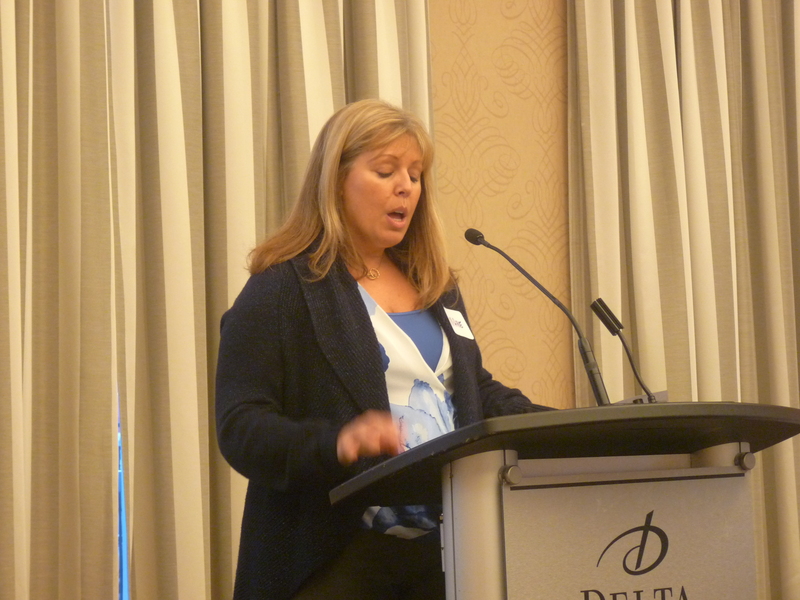 Greta Haanstra presented on behalf of The Life Centre (Daily Bread For Everyone). Each week this downtown mission provides up to 600 meals and a variety of programming, at no charge, to anyone who is in need. Liz Dent presented on behalf of Ed Video, an organization which, since 1976, has helped members create video-based projects that represent the diversity, spirit and viewpoints of the people in our region. After these engaging and enlightening presentations, the membership voted, and the selected charity was Ed Video. When pledges come in from all members, our contributions will be used to purchase new audio, video and lighting equipment to support current and upcoming programs within our community. We look forward to hearing about that impact at our next meeting on July 10th, 2017. 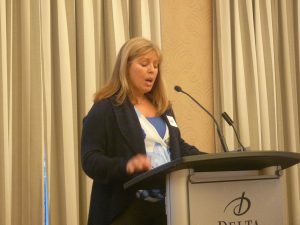 You can read more about the program in Tannis’s press release online. 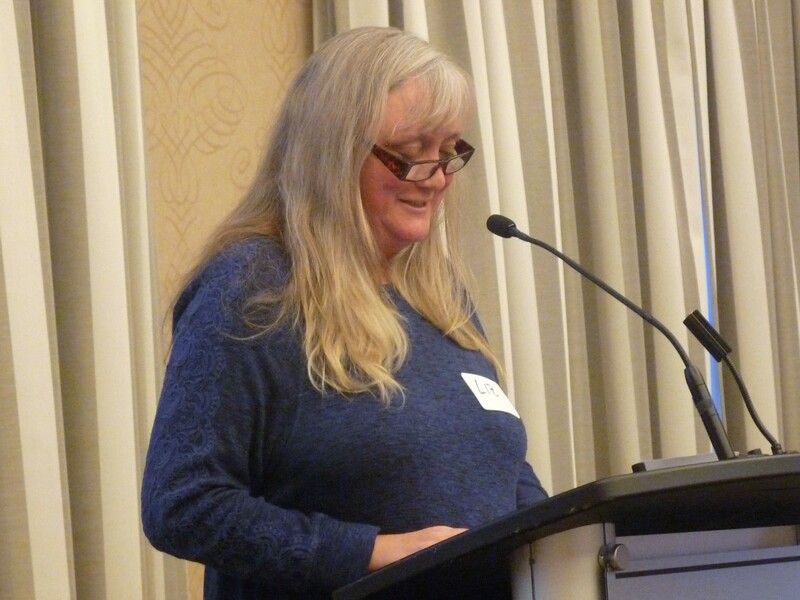 While we were waiting for the results of our voting, members had the pleasure of listening to an inspiring presentation from Marie Dennison, Regional Director of Start2Finish Running and Reading Clubs. Marie expressed her gratitude for the donation made by 100WWCG in January, to the Guelph chapter of Start2Finish, to assist with the creation of a new running and reading club at Westwood Public School. Funds were used to purchase shoes, shirts, fitness equipment and books for the program participants. Membership is currently 36 kids and it is anticipated that up to 60 children will be welcomed into this exciting and innovative project. After the meeting, many of those in attendance joined us for our after-meeting networking event sponsored by our very own members, Sandra Lastovic of The Mortgage Centre and Irene Szabo of Royal City Realty. This entry was posted in Notes on Meetings on April 11, 2017 by Miriam Vince.